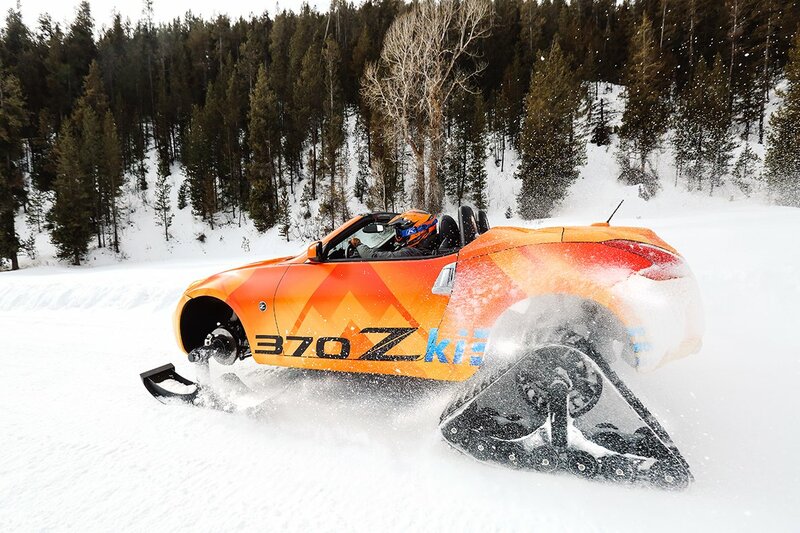 Based on a standard Nissan 370Z Roadster (who wouldn’t want to carve up an Alpine piste while breathing in some fresh mountain air, right?) 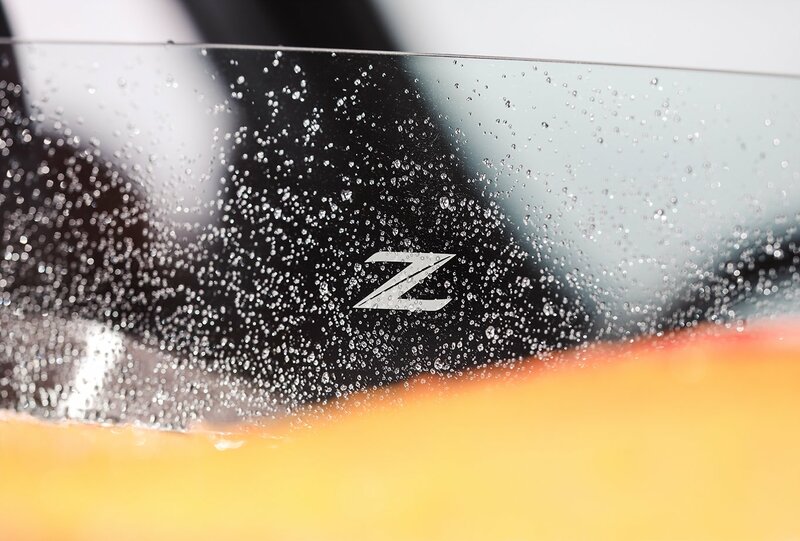 the 370Zki apparently “seemed like a natural combination” for the Nissan’s Chicago Motor Show stand, according to Michael Bunce, the exotically titled vice president of product planning for Nissan North America. We want what ever he’s smoking! 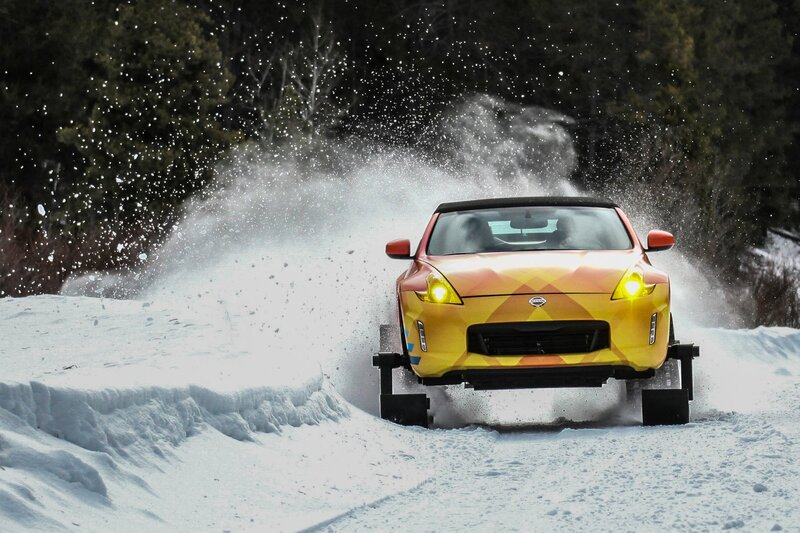 Joking aside, Nissan has a bit of history at the Chicago Motor Show. Last year, the Japanese manufacturer’s stand featured a Rogue SUV that had been given the Star Wars treatment and turned into a road-ready X-Wing. 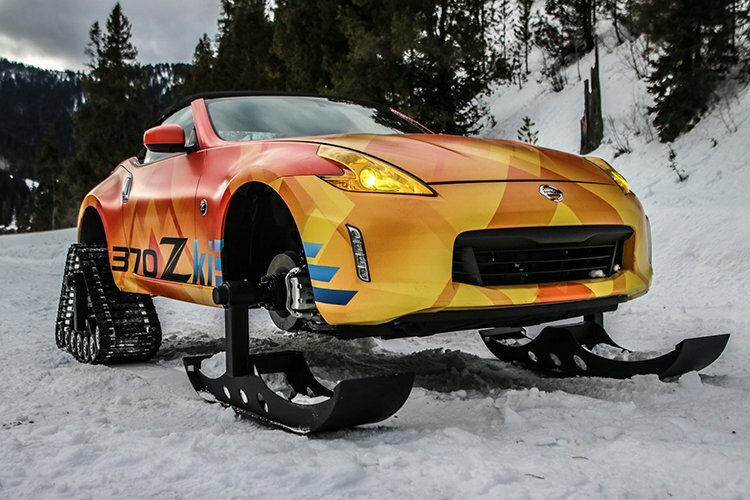 But, don’t let the fact that the Nissan 370Zki won’t be leaving the galaxy any time soon get you down. 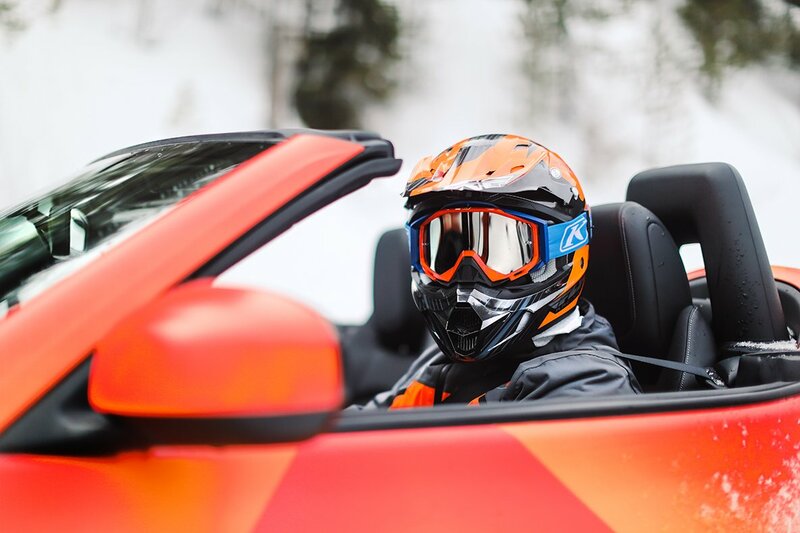 This is a fully tried-and-tested, powder carving weapon, complete with 332hp. 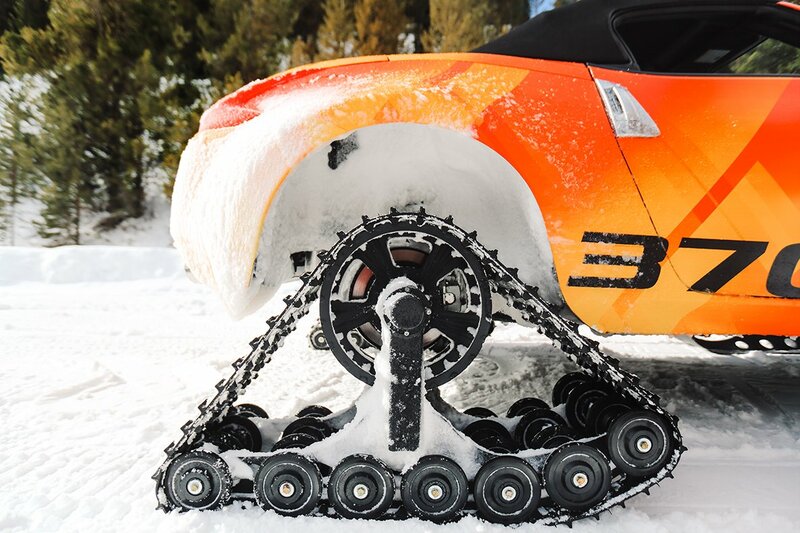 To accommodate those monstrous American Track Truck Inc ‘Dominator’ caterpillar tracks at the rear, the whole drivetrain had to be removed before the suspension was lifted by three inches and the rear arches modified to provide adequate clearance. 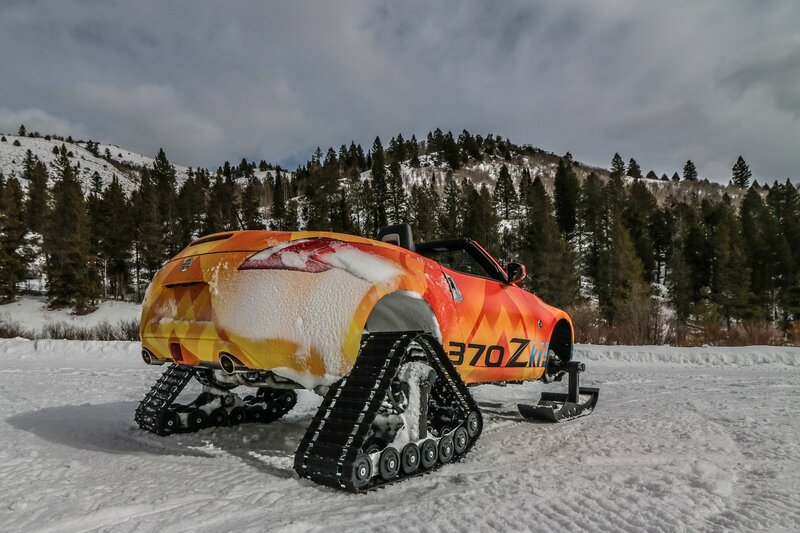 At the front, the suspension was tweaked to cope with the increased ride height while a pair of American Track Truck Inc skis were fitted to the existing front wheel hubs. 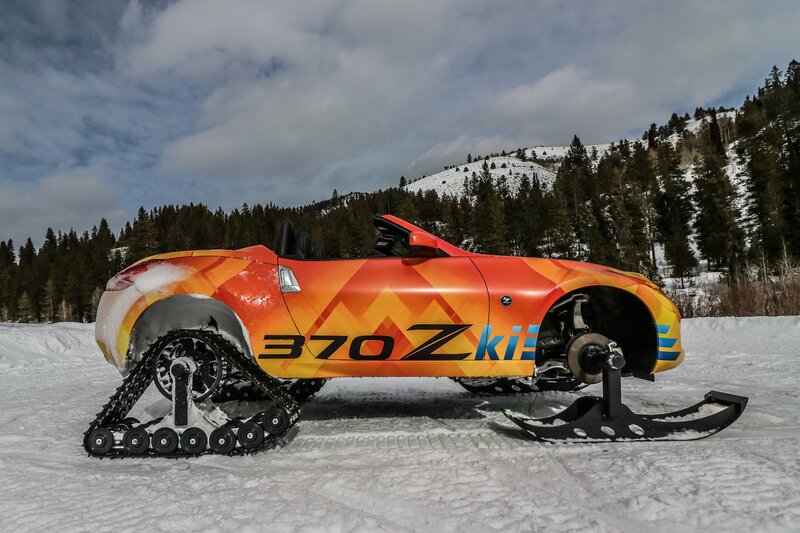 The whole thing was finished off with an eye-catching vinyl wrap before Nissan genuinely put the 370Zki through its paces on the slopes of Wyoming before getting packed up ahead of its photocall in Chicago. 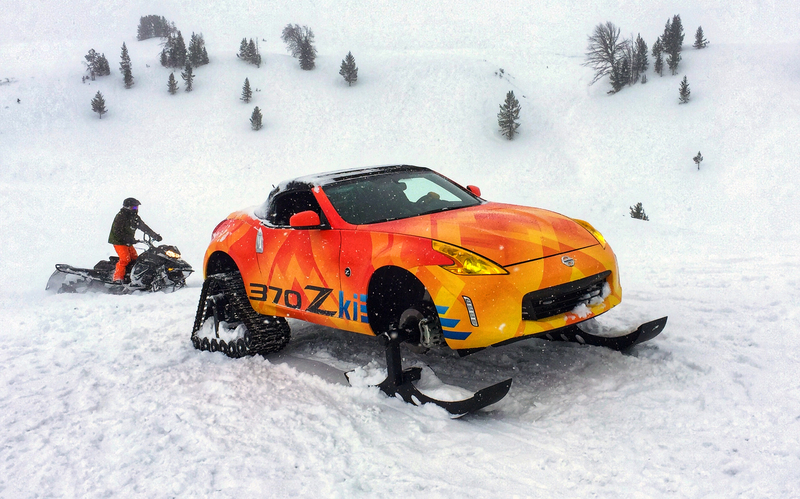 Unfortunately, if you’re looking to trade in your old snowmobile for something a little more… eye-catching, the 370Zki obviously isn’t going to getting put into production any time soon.